AUGUST 2014 UPDATE: Skipping into my second year as a 1:1 teacher, I’m thrilled to share my experiences with Schoology and iTunes U here on my professional site. I am still using both platforms, and excited about the updates both have to offer: iTunes U offers the new capability to manage courses on the iPad as well as the new class discussion feature; Schoology offers numerous updates to material folder identification (loving the color and photo id option!! ), edit discussion capabilities and system administrator functions. My freshmen exclaim that iTunes U looks “professional and clean” and appreciate the iPad notifications while my seniors enjoy the material organization and easy-access in Schoology. I am productively using both platforms for these different classes. Until one platform proves its advantages far outweigh that of any other, I’ll continue to use the best of both. Never one afraid to try something new, I may indeed add another platform to my repertoire next semester for my sophomores – Google Classroom. Being that it’s so new, I’m letting the growing pains subside before I get my feet wet on that side of the pool. In the meantime, GAFE applications will continue to be the main means to share documents and work with students while iTunes U and Schoology are the landing page. – I’m able to draft as many posts ahead of time as I wish without having to push them out immediately to students. – It is extremely easy to add a variety of material – documents, pdfs, videos, links, etc. – The unlimited amount of posts and material allowed is comforting. – iTunes U allows for “announcements” to be posted. I use this when I want to send students quick reminders about class the next day or a special project. – Students easily access all material and lesson plans from their iPads. Receiving notification when new material, posts, or announcements are added is advantageous as well. – The iTunes U manager is not available via a mobile device. To enroll, create or modify posts, add material, etc., I must access from my laptop. – Once the material is posted, it is placed under the material tab. It would be nice to categorize these items under a clear label. Within the material tab, I’m able to move items but I’m not able to clearly label categorizes for these items. 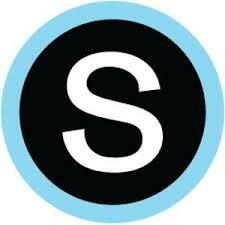 – I can easily access all functions of Schoology via my laptop or iPad. – Schoology easily links with teacher and student Google Drive and Dropbox accounts. – Creating, administering and grading assessments is a snap. Students voice they appreciate the ease as well. – I’m unable to save drafts of course updates. I’m a planner and many times, I’ll think of something ahead of time that I wish to include in tomorrow’s lesson yet I’m either not ready to post or don’t wish to preview early to my students. It would be great to be able to draft until I’m ready to communicate the lesson to my students. Overall, I am very glad I’ve chosen to use both platforms this year and it’s fun getting versed in both. My plan right now is to use both next year as I move to an entire 1:1 course load. 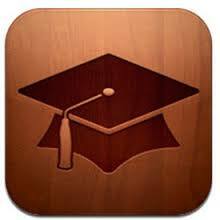 I’ll use iTunes U as the main communication line and Schoology for assessments. It’s a simple soothing song that often makes me stop and smile. This particular rainy January day happened to be my school’s Institute Day before the start of our second semester so the rain lent itself well to my pervading reflective mood as of late. As I excitedly prepped for my students and anticipated seeing them for the first time in a couple of weeks since winter break, I thought back to how they have grown since the start of the year and where I hope they will be by the end of our time together. Like most teachers, I’m reflective by nature. On a daily basis, after each class, I think about what went well, what didn’t go so well and what I can do to improve for next time to best impact my students’ learning experiences. Sometimes these reflections are merely in my head but many times I write them down, either bullet-pointed lists (I’m a notorious list-maker) or journal narrative form if I really need to think things through. Over the past three years, I’ve been fervently sharing the benefits of reflection with my AP Language and Composition students, having them write a 1/2 – one page reflection on their writing after each major essay assignment – timed essay responses, narratives, research papers, summative projects, etc. As we analyze the rhetoric of the authors we study, I ask students to begin to look at their own writing with a more critical lense. Within our 50 minute class periods, students hand-write the essay responses to emulate the similar timed, hand-written testing experience. At the end of the period, they hand in their papers and “let it go.” I tell them to go home and give themselves a well-deserved pat on the back for getting through the essay! The next day, after I’ve taken a look at (but not yet commented on!) their essays, I pass back the papers and we talk, first in small groups*. Students compare focus points, thesis statements and analyses along with what was easiest and most difficult about that particular prompt. Each group then shares discoveries with the whole class. We discuss all the numerous decisions we make as writers in the short span of time given, and how to create a clear, concise argument under those constraints while also demonstrating command of our own language. To spur deeper discussion, we next take a look at sample essay responses that AP provides – looking just as critically with these samples … what worked, what didn’t work for these writers. Students then take their handwritten essays home, re-type their responses word-for-word, grammar goof for grammar goof. 😊 This act, in and of itself, can be an eye-opening experience! Finally – and here’s where the magic begins (magic is real, dear friends!) – students write a one-half to one page reflection, based on their own observations and on discoveries made in class. This self-reflection can be difficult for some at first but, as I tell my students, while it will never be easy, it will get easier and initiate growth and more powerful metacognition. As I sit down to read their essay responses and comment, I LOVE when I scroll down to these reflections and discover students’ observations matching my own observations on their work. To me, this affirms they’re that much closer to mastering the writing skills we focus on! Here, a student becoming more aware of her audience and appropriate use of diction. Like building a muscle, students reflections grow stronger and stronger as the year progresses. Initially, responses may read more generally (an “I need to add more detail.” comment evolves to “I should have been more specific about what kind of services should be reduced, which I think I did better at the end of the paragraph but not so well when I introduced the idea at the beginning ” ). My teacher heart grows proud! Here, this student reflects upon her outline prep she did before writing the essay. Just as sunshine follows the rain, growth follows reflection. ☀️ It might not be pleasant and there may be some messy puddles to deal with along the way; but, undoubtedly the rain that falls helps growth. And when you live in the Midwest and the rain happens to fall on the rare occasion of January, well, the opportunities that follow are all the more impactful.